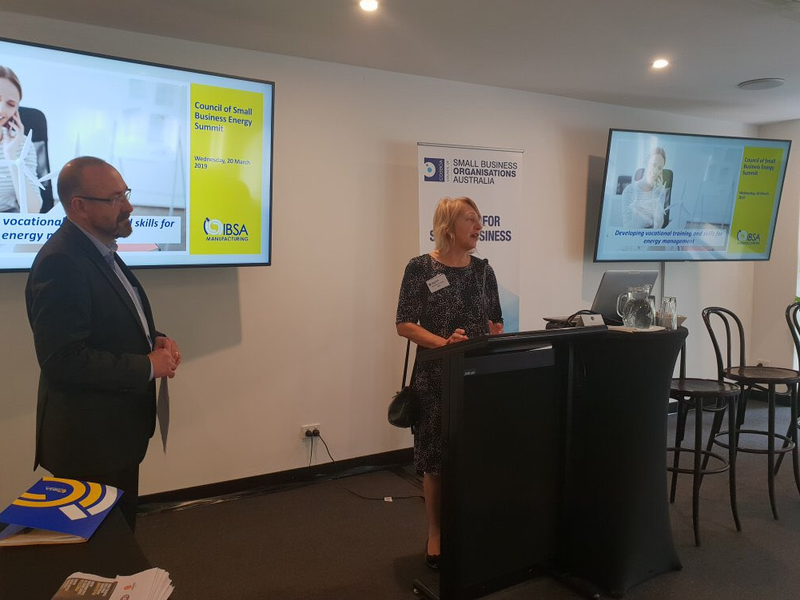 IBSA attended the Council of Small Business Organisations Australia’s (COSBOA) Small Business Energy Summit last week in Melbourne on the 20 March where we were provided with an opportunity to consult with delegates on the impact of energy bill shock. We also received great feedback on the proposed Energy Management skill set currently under consideration. Valuable insights were provided, particularly concerning how this skill set would best be implemented to provide the most value and relevance to the small business sector, and how IBSA can engage effectively with this sector on energy management. We’ve also subsequently received a number of approaches to provide further information and to keep in touch. Thanks again to Peter Strong, CEO of COSBOA for the opportunity to add another voice to the Energy Summit discussions.